The Fraser Train is our classic excursion train, operating daily from Memorial Day Weekend through October 31. Travel from Boone to the old coal mining town of Fraser (and return) in 1920’s era coach cars, experience what it was like to ride the rails in a caboose, get an unparalleled view of the river valley from our popular open-air car, or enjoy the view from climate controlled comfort from our former Chicago & North Western bi-level coach car. On most trips, our concession car is open for business. It features items such as: hot dogs, corn dogs, various chips, cookies, ice cream treats, and beverages for children as well as for adults. Typically, the concession car is located toward the middle of the train. Those passengers riding in the caboose do not have access to the concession car. Is the train handicap accessible? Only Classic Coach Class is handicap accessible. Please call 1-800-626-0319 to confirm availability. Are reservations required? 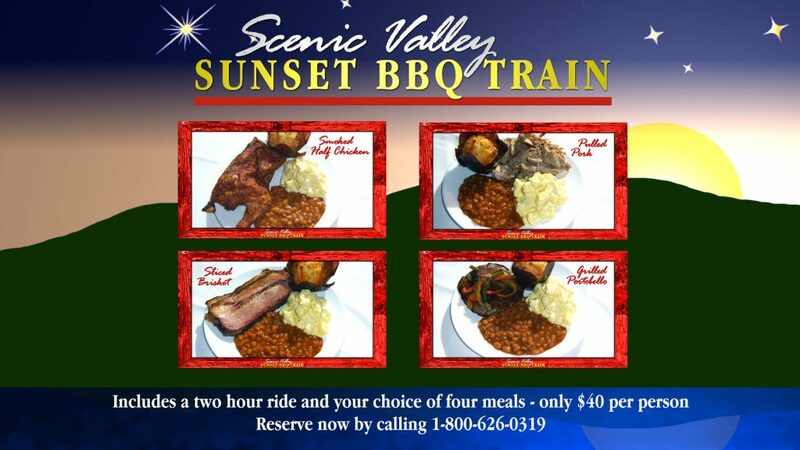 Reservations are strongly recommended year round for Climate Controlled Coach, Valley View, and caboose tickets. Usually, reservations for Classic Coach Class service are not needed except during the months of September and October.